Shock Absorber Pen with Black Enamel Spring [PKSAPENBK] - $40.87 : AnkleBiter Woodworks, When all else fails, send in the dacschund! Here's a classy gift that will be appreciated by any car or motorcycle enthusiast. 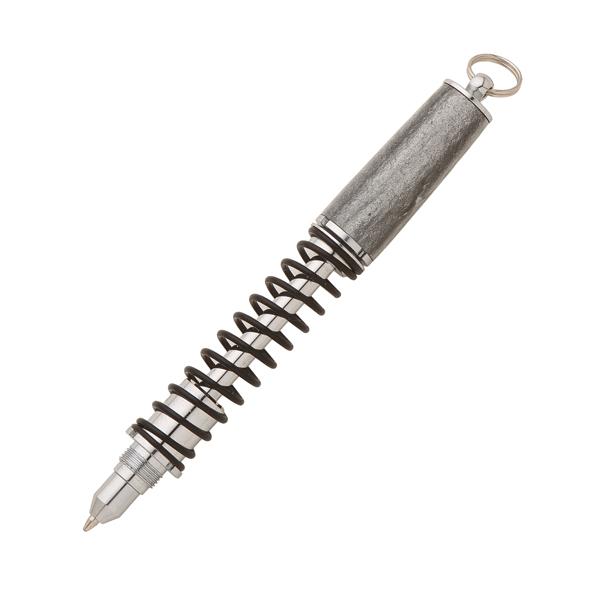 We've modeled the design of this Shock Absorber Pen with Black Enamel spring after an actual shock absorber with a heavy-duty spring that actually articulates on the shaft of the pen for ultimate authenticity! A real conversation starter. Just twist off the cap of the to reveal a ballpoint pen. The cap then posts to the back.